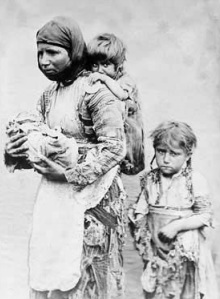 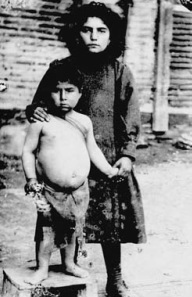 Armenian Women with her three children. 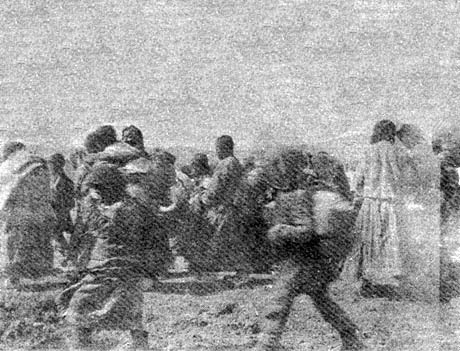 Death of fatigue Deported Armenian children (Kharpert, 1915), by Maria Jacobsen, Diary 1907-1919. 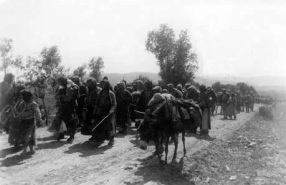 Kharpout, Turkey, translated into Armenian from the original manuscriptet written by Nerses Pakhdikian, Mihran Simonian, Antelias, Lebanon, 1979. 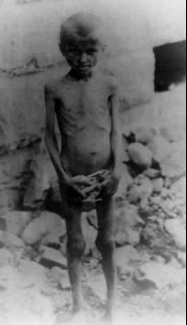 Kharbert (Kharpout) 1915 One of many Armenian children who have twisted away to a skeleton, by Maria Jacobsem, Diary 1907-1919. 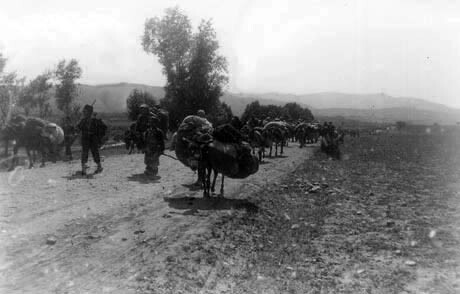 Kharpout, Turkey, translated into Armenian from the original manuscriptet written by Nerses Pakhdikian, Mihran Simonian, Antelias, Lebanon, 1979. 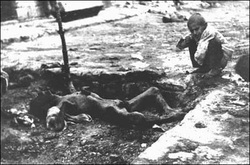 Syria, Aleppo - Armenian woman kneeling beside her dead child "within sight of help and safety in Aleppo." 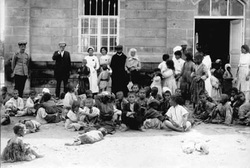 Armenian refugees in a camp. 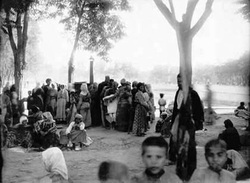 Armenian refugees in the Rescue Committee's tent, Aintab. 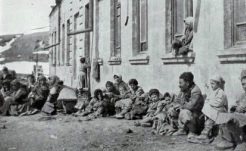 Armenian refugee children. 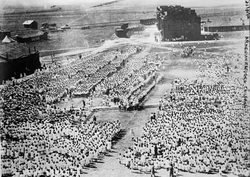 Worth noting is the number of children in the picture which is indicative of how many parents who must have been killed and disappeared. 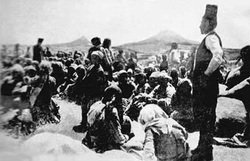 Armenian refugees in one of the tents of the Rescue Committee, Aintab. 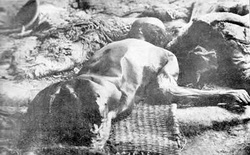 In anticipation of death Emaciated young woman waiting for death while the rest of the family are watching. 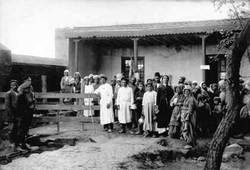 Orphans who have gathered from the desert of Der Zor. 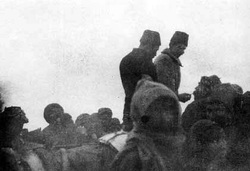 (David Adamyan in the middle), 1919. 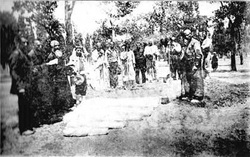 Tortured and murdered Armenian priest. 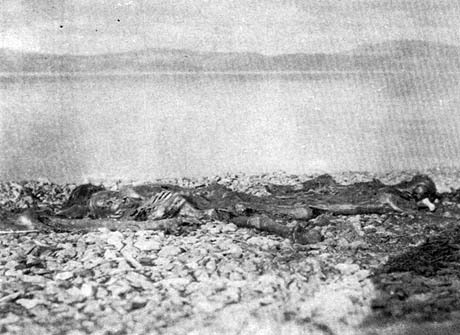 Unearthed Remains A group of persons, incl. 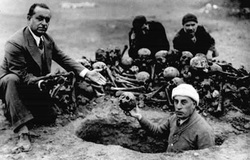 Harutyun Hovakimyan, digging for the remains of Armenian victims of Der Zor, 1938. 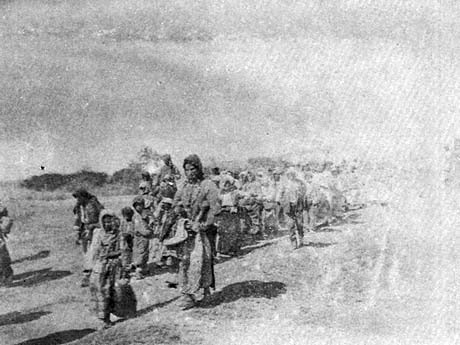 Armenian children in Adana Armenian children returning to Adana, during 1918 to 1920, many of them murdered or deported again. 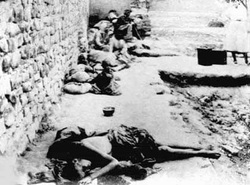 Armenian starving refugees who sleep in the street. 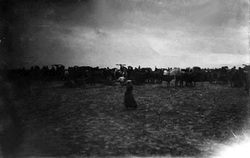 Maria Jacobsen, diary 1907-1919. 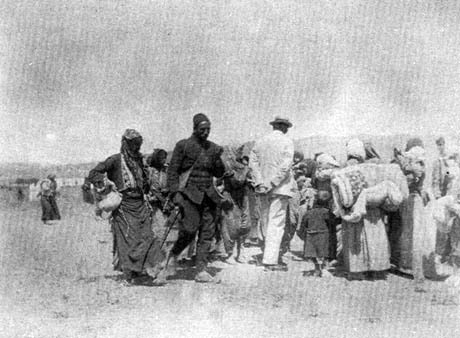 Kharpout, Turkey. 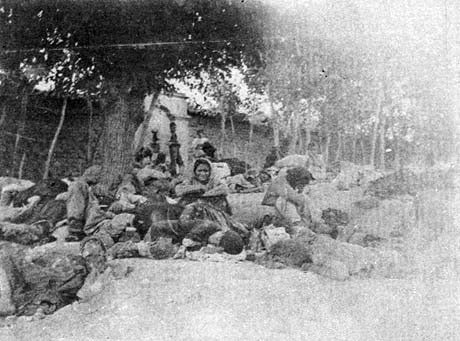 A group of Armenians from Zeytoun who have forcibly moved to Marash in May 1915: soon after the photo had been taken they were burned and massacred all by the Turks. 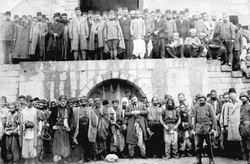 Marash governor is in the top row. 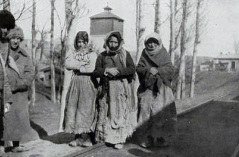 Armenian refugees at the pyramid built by the heads of the Armenian victims. 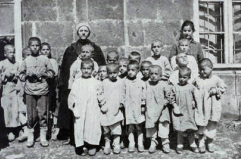 Armenian orphans in Vagharshapat (Etchmiadzin), the summer of 1915. 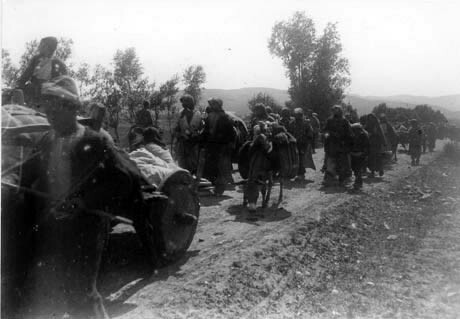 Funeral of Western Armenian refugee family, the province of Erivan (Yerevan), the summer of 1915. 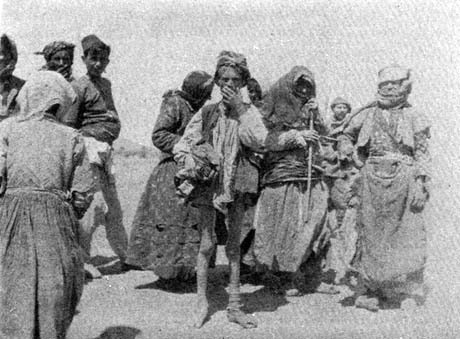 Armenian survivors after the 1909-year's massacres in Deurt-Yol, Cilicia (Adana). 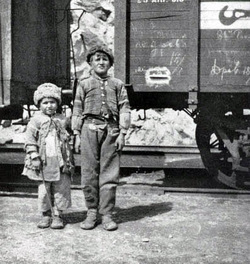 Brother and sister, orphans, begged for a train ride to another town, where they might get bread. 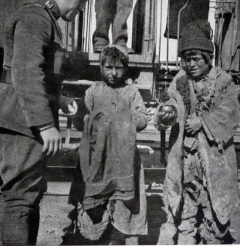 Begging for bread when a train from the American aid organization arrives at an Armenian station. 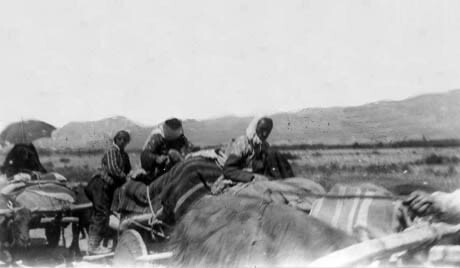 A single day's rescue in Erivan (Yerevan), photo by Melville Chater. 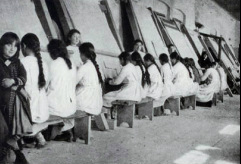 Armenian orphans in Alexandropol: They get a half pound of bread and a piece of sugar per day. 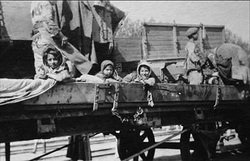 Orphans refugees who hope to reach any city where there is bread. 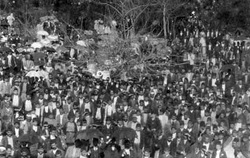 These children ate the candle light drops from the side of the charitable organization car, in a country that is naturally fertile. 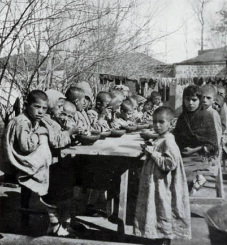 Igdir, Armenian children eat their ration of boiled rice, which is awarded by the American Committee. 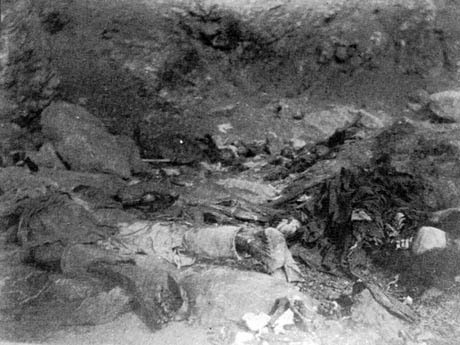 Remains of Armenian corpses that have been burned alive in a cattle shed in Aly-Zrna. 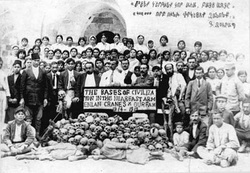 The skull and the bodies of Armenians killed in the Ali-Zrna. 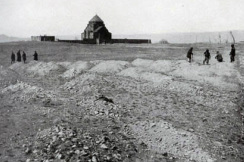 The skeletons of tortured Armenian women and children close to the Monastery in Mush. 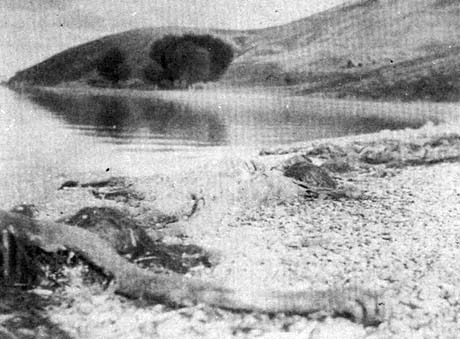 The remains of Armenian children, drowned in the Black Sea, Trabizon, 1916. 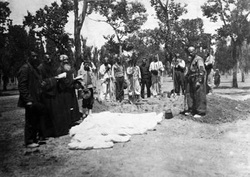 The body of a raped, tortured and headless Armenian woman in Bitlis. 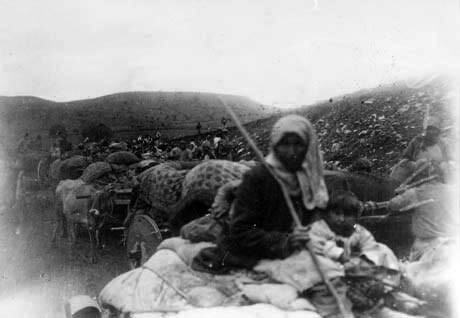 Collection of orphans and forlorn child during the exodus from Van, 1915. 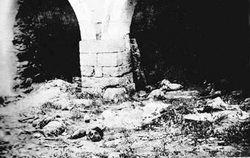 The bodies of brutally murdered Armenians during Bitlisbron. 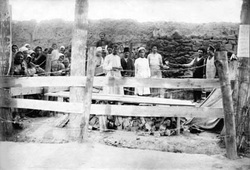 The skeletons of Armenian women and children in the valley of the St. Karapets Monastery in Mush. 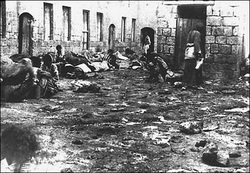 The skull of living burned refugees in Bitlis. 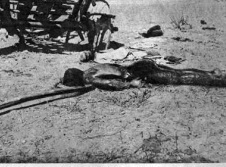 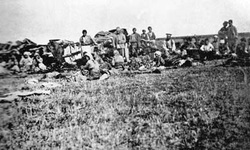 The corpses of Armenian laborers, killed by Turks on the road near Mush. 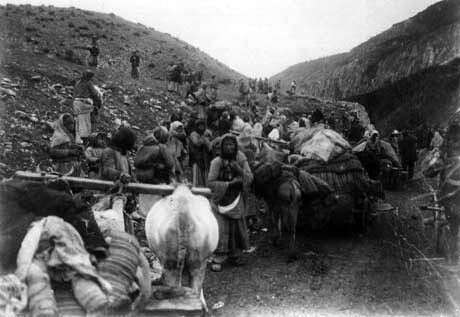 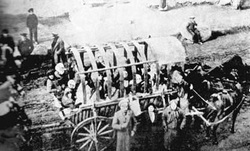 Headless bodies of Armenian workers in the construction of the road to Bitlis. 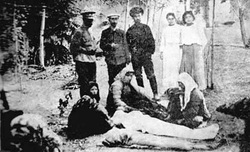 The victims of epidemics during the retreat, July 14, 1915, Idgir-grove. 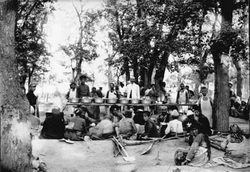 Politisches Archiv des Auswartigen Amtes, Bonn, Turkei Archivbestand Abotschaft Constantinople, No. 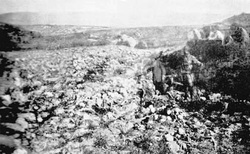 169. 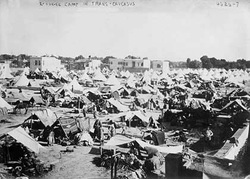 Camp for deportees in the vicinity of Erzurum General Library, State Department, Constantinople, No. 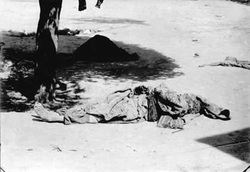 169. 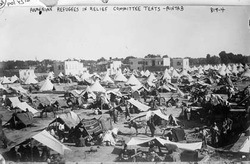 General Library, State Department, Constantinople, No. 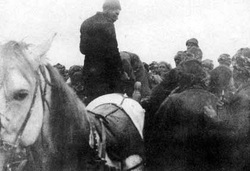 169.